1 click Self Service Restore? Yes, please. I got the chance to test this feature out today at the request of a customer. This feature was going to allow them a much simpler configuration in their environment, and also not require Microsoft DPM. Since I hadn’t used the feature myself I decided to take it for a spin. So what is it? 1 Click Self Service Restore allows users to restore their own files. This feature uses Nutanix’s built in Data Protection. It is extremely easy to set up. I set it up in a test environment in minutes. I believe it is a feature of 5.0 or newer. 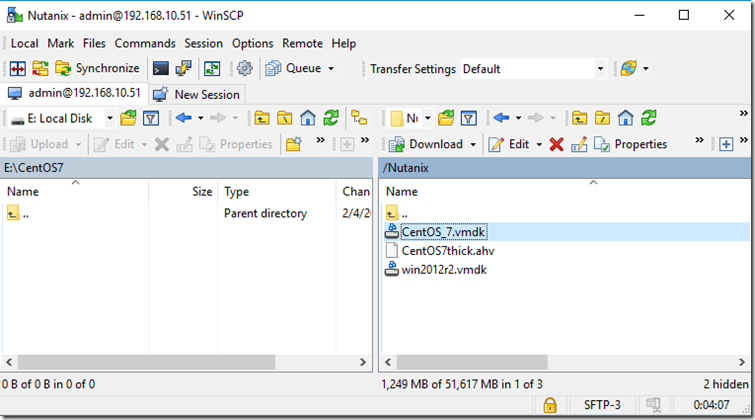 First step is ensure that your VM has Nutanix Guest Tools enabled. Ensure that the SSR feature is checked. Once it is enabled you will need to install them. They mount in the cdrom drive. It may even autoplay. 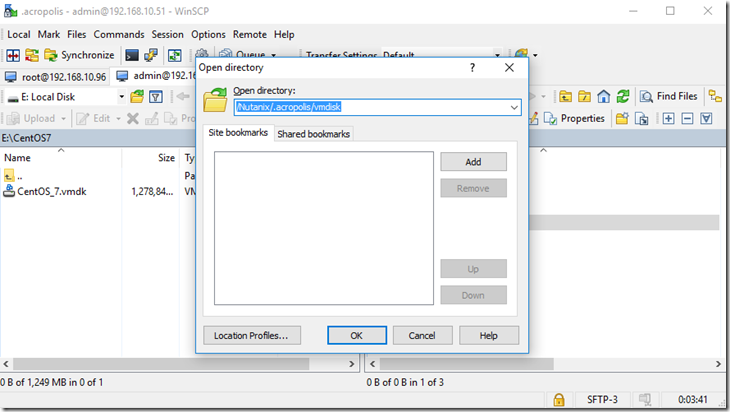 After the installation we need to setup a Protection Domain under Data Protection tab. Configure your PD with the schedule you require. I created some files that would represent something I deleted and wanted to copy back. 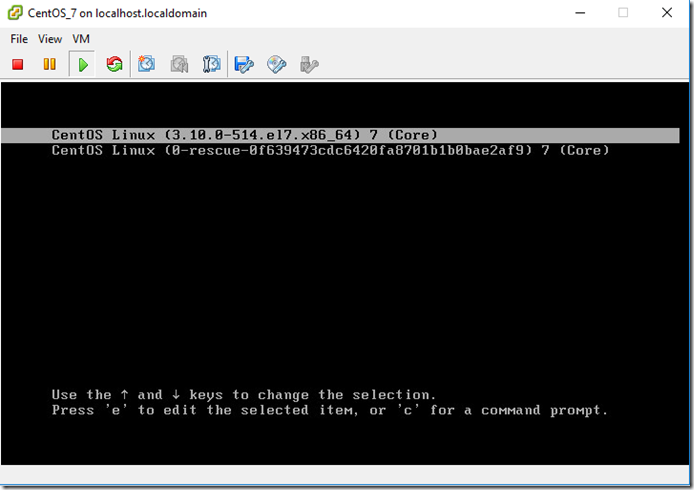 Once the PD is created and it has taken its snap, its time to run the executable for the SSR from within our vm. Once you launch the executable, you will need to login to the local portal. This is your system credentials, not the Nutanix administrative portal. After authentication you can see the snaps that belong to this VM. You can click on each individual snap and see the disks associated. Click on any that you wish to restore from and then click Disk Action and Mount. You can then navigate through the Windows Explorer and see the mounted drive. Now you have access to your file! 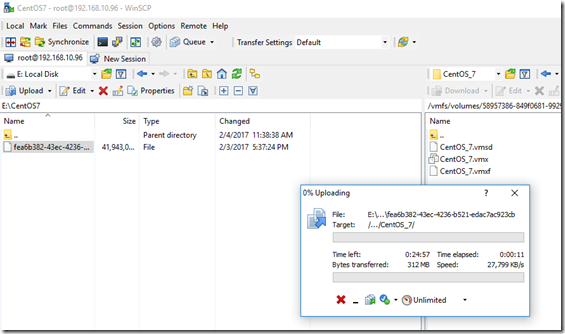 Upload the cisco ise iso to the image service. This will allow you to mount it to a virtual cdrom. Now create the vm we will use to install the Cisco ISE. I chose 4 vcpu/16GB RAM, 200GB disk. Connect the cdrom to the image service and choose the iso we uploaded. You will need to run the following command to set some right bits. Now boot the vm and open the console. Choose option 1 to install. The system will reboot and give the same prompt again. This time just press enter to boot from disk. I’m pretty sure anyone who is either a Nutanix employee or a customer that uses the product on a daily basis has a list somewhere of the commands they use. I decided to create a blog post to become a living document with the most used commands. It should get expanded and be kept up to date over time. 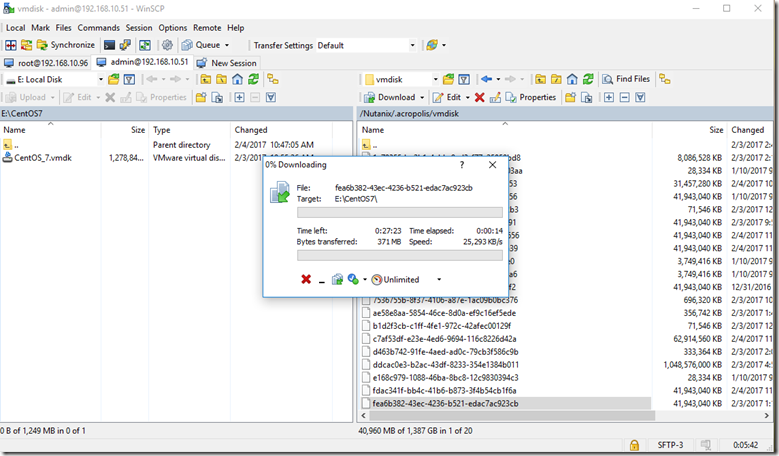 In this example I’m going to export my Windows 2012 R2 template from AHV to VMware Workstation. Step 4. 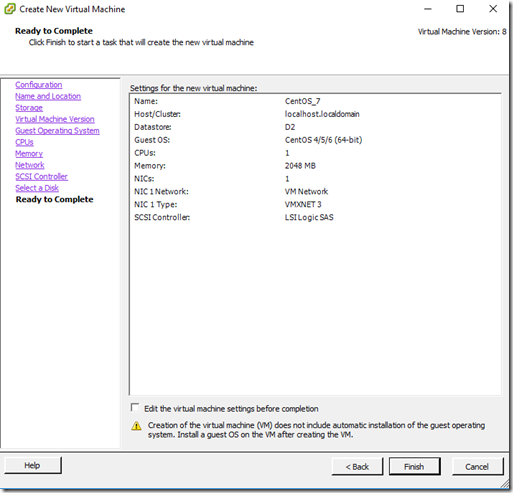 Create a VM with the new vdisk in VMware Workstation and power it on. Remember to install VMware Tools. Configure a Network Switch in Prism to show latest network visualization! With the release of Asterix (AOS 5.0) you can now view very detailed information into your switch. This is great news because the visibility into the physical network layer in AHV was not very detailed before. Nutanix has supported adding in a network switch config for some time now to be able to view stats in Prism, but it wasn’t until Asterix where you can see such things as AHV host vswitch config, detailed port information and vm to host to port to physical switch mappings. Getting a switch configured with a basic config to pull into prism is pretty easy. Let’s begin. Let’s start with the physical switch config. I am using an Arista 7050. Now lets configure Prism. Click the Network Switch option and let’s add a Switch Configuration. Using the basic information from our network config input the SNMP community name as well as the username, and also pull down the correct version. I used v2c. Don’t forget to add your switch management ip address! Now you can click on the network visualization from the menu. Have fun playing around with the visibility. Nutanix nodes are configured by default to use IPv6 link-local addresses and use IPv6 neighbor discovery in order to make the process of expanding clusters very easy. Simply connect the new node to the network, and as long as the existing Nutanix cluster and the new node being added resides on the same layer 2 segment, you should be able to discover the new node without doing any other configuration. This enables an administrator to configure the IPv4 addresses from their desk without having to stay in the datacenter with a crash cart. Pretty nifty, right? I have seen this feature become unavailable a couple of times where by the necessary IPv6 traffic is not being allowed on the network. When I have seen this customers did not realize or even intend for this to be the case. In all of these situations, this was the result of OMF (optimize multicast flood) configured on the Cisco 7K switches. This is the default configuration so it will always be a problem if not addressed! One customer, using Cisco 7K switches as their access layer, discovery would not work at all for them. In the other case, the customer did not align their Nutanix clusters to the boundaries of the Cisco 5K switches in a leaf/spine configuration (a best practice, but not feasible for them). Discovery partially worked, but only within the boundary of any one single Cisco 5K, which basically segmented the traffic and caused confusion. At first this can be daunting to figure out because everything else you would expect works just fine. Communication appears to work, for example, pings respond just fine (once IPs are manually configured). After the right levels of google-fu, we came across this article online: https://www.tachyondynamics.com/nexus-7000-ipv6-configuration-pitfalls. Long story short, the default configuration of a Cisco 7K blocks IPv6 communication, and you will need to disable OMF on the Cisco 7K. The actual configuration item is: no ip igmp snooping optimised-multicast-flood. Hopefully google hits on this page with more common search attempts for Nutanix discovery not working. NOTE: For the below to work, the non-nutanix hosts and nutanix hosts must be on the same layer 2 network. With ESXi, NFS datastores are recognized discretely by the IP address of the server they connect to in order to mount the volume. Nutanix hosts use a private network for the NFS mount in a normal basis, to keep read traffic off of the external network — only reaching out over the network when data happens not to be local, or on write for redundancy to one or two hosts based on the replication factor setting. This private network is 192.168.5.0/24, and the NFS server is always 192.168.5.2. The Nutanix platform allows you to whitelist other external IP addresses to connect to the same container (or NFS based datastore in vSphere) by non-nutanix hosts. Primarily for migration purposes to our platform. However, when these external hosts mount the volume, it would be on the external network of our Controller Virtual Machines (CVMs). This means that the datastore will show up like below — even trying to name it the same wont work. Screenshot below shows this in my lab environment. 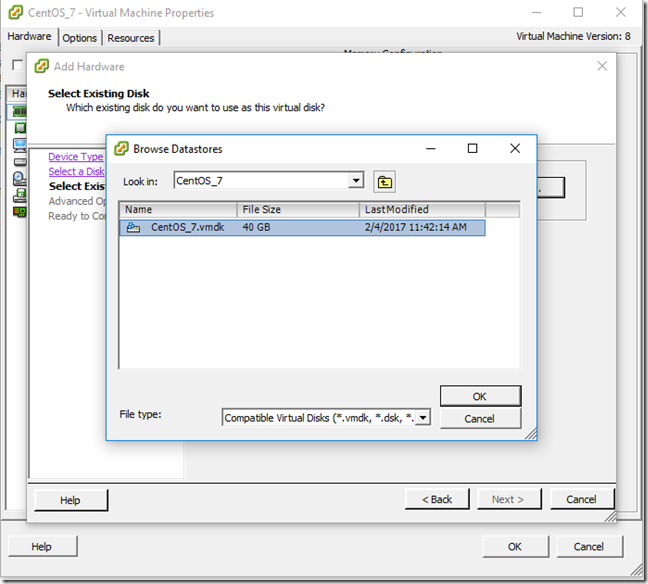 In the screenshots esxi00 is a non-nutanix ESXi host, and the nesxi## hosts are nutanix hosts in a single nutanix cluster. The primary way this has been addressed in the past, is to move data twice. 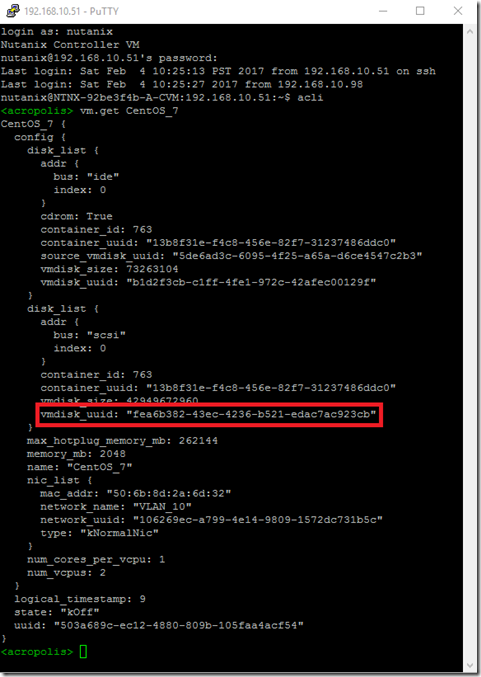 First you would mount the container from the Nutanix hosts both internally per usual, and externally using a different datastore name. The external mount is also mounted by the non-nutanix hosts. It is then used to complete the first storage vMotion, followed by the compute vMotion, and then ultimately a final storage vMotion to complete the migration. Not difficult, but a bit time consuming. However, I had a requirement to try and reduce these steps due to another platform accessing the vCenter server upstream, where the virtual machines could not be easily moved at the vCenter/vSphere layer directly. The upstream platform had the ability to trigger storage migrations, but it is extraordinarily tedious — I had an idea occur to me that could hopefully remedy this situation, and make migrations easier in general. During Acropolis upgrade processes, or when a CVM fails, a static route is injected into the Nuatnix host that lost its connection to the CVM that is offline. This functionality is called autopathing (brief detail here, but a google search will find you blogs explaining it in depth). 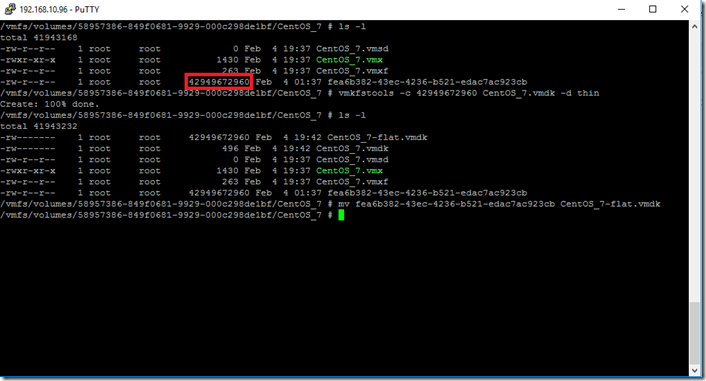 The IP address of 192.168.5.2/32 is set to route to the external IP of another working CVM as the next hop temporarily. When the CVM comes back up on the host, the static route is removed. In this way, the host with the CVM that is offline never loses connectivity to the datastore. I wondered if this could be used another way, where the non-nutanix hosts could have a static route of 192.168.5.2/32 configured as a next hop to one of the CVM IP addresses. If this were to work, the IP of the datastore would be the same for both non-nutanix and nutanix hosts, and the result would be that you could migrate data just one time. In order to do this, log into the subject non-nutanix host. The command to set the static route would be esxcfg-route -a 192.168.5.2/32 <IP of a CVM or the Cluster IP>. You’ll get an error that says the IP isn’t valid (it believes it’s not on the same network), but it will still add the route. At this point, we can mount the volume as before on the non-nutanix host, but using 192.168.5.2 as the server rather than the external IP address of the CVM. After hitting the OK button, and the container successfully mounts as a datastore, the IP addresses match and the datastore is identified as the same by vSphere. 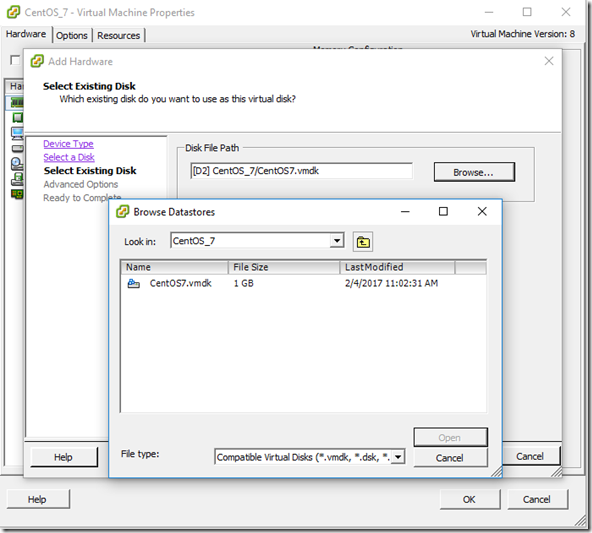 Now you can do a storage vMotion just once, followed by a compute migration. Hopefully this saves you some time!